I’m super excited to bring you this broccoli dish. Wow, that’s not something you hear often, especially from me. Okay, how do I explain this… I like broccoli, but I don’t tend to eat it much because I don’t like what it does to my tummy (putting it delicately). For some reason unbeknownst to me, I decided to ignore my aversion to this green veggie and create this appetizer. I’m so glad I did because these bites are my favorite way to eat broccoli now. I love all of the textures going on here. 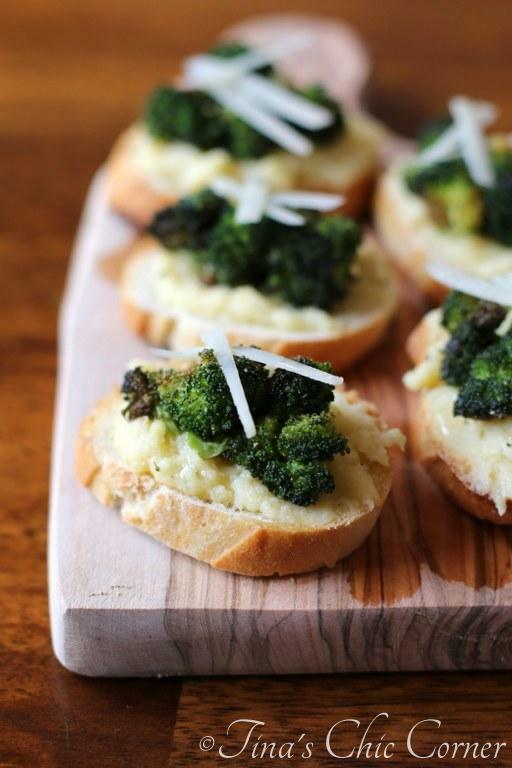 The crunch of the toasted bread and the roasted broccoli combines nicely with the creamy Parmesan polenta. Polenta? Yup. I thought it would act like a nice condiment and I was right. 🙂 It’s not just a yummy side dish anymore. Can we talk about this gorgeous broccoli? Roasting the florets with garlic takes them straight to flavor town. The roasted broccoli, garlic, and Parmesan cheese in the polenta all compliment each other and taste super delicious. I’d say it tastes good with the polenta, but polenta is one of those foods that doesn’t really have much of a flavor on its own. It seems to just pick up the flavors that you put with it so in this case it was a great vehicle for Parmesan flavor. The French bread makes these savory treats ideal for an appetizer and they will definitely be making an appearance on the appetizer platter when we entertain for the holidays. My husband says that they’re kind of annoying to eat because like with any bruschetta type deal all the goodies on top fall off the moment you bite into it and you can really mess up your mouth trying to eat toasted crust sideways. My answer to this problem? Deal with it. 😉 Or use bigger bread, or top it with another slice of toasted bread, or remove the crust? Okay, removing the crust sounds like sacrilege when you are talking about a tasty bakery loaf of crusty bread so don’t do that. It would be weird. I guess I don’t really have a suggestion besides “deal with it”. There, problem solved. So much for me not being a broccoli fan. I think this tasty bite has converted me…um, not really, but I do really love these. Line a baking sheet with tin foil and set it aside. Toss the broccoli florets in the olive oil, 1/4 teaspoon salt, and 1/4 teaspoon pepper, and place them on the prepared baking sheet in a single layer. Bake the broccoli florets for about 15 minutes or until slightly browned. About 13 or 14 minutes into the cooking time, add the minced garlic. You don’t want to cook the garlic for the whole time because it will turn very bitter. Once the broccoli is done cooking take it out of the oven and set it aside. To prepare the polenta *, bring the water to a boil. Whisk in the milk, grated Parmesan cheese, 1/2 teaspoon salt, and 1/4 teaspoon pepper. It will be thick but your goal here is to be able to spread it on the bread without it squishing out all over. Cut the loaf of French bread into about 1/2 inch slices and lightly toast them. I toasted them in my toaster oven. Spread some polenta on top of the bread. Add a few roasted broccoli florets on top of the polenta. Lightly drizzle olive oil on top. * All those stars above are because I used quick cooking polenta and followed the directions on the box for 2 servings. If you don’t use quick cooking polenta, then look at the directions on the box carefully because the ratio of cornmeal to water may be different and cooking time is likely also different. Your ultimate goal is to have about 1 tablespoon of cooked polenta for each bite. Here are some other must make-make vegetarian appetizers. Tina, these broccoli are absolutly delish!!. love the flavours and the texture.. big yummmm! ! This is my first broccoli recipe that I’ve posted on my blog (blog established February 2013)…and there is a reason for that. I’m not quite the fan either, as I admitted here, so when you can get me to eat these, then that’s saying something! I’m a huge fan of broccoli and polenta! So clearly this needs to be made! And it’s way different than what I normally do with that green veggie! I LOVE broccoli and polenta! These bites sound right up my alley. 🙂 Oh, and tell your hubby that messy food is BETTER. ! These sound so good! My husband is obsessed with polenta, so I am definitely going to be making them. 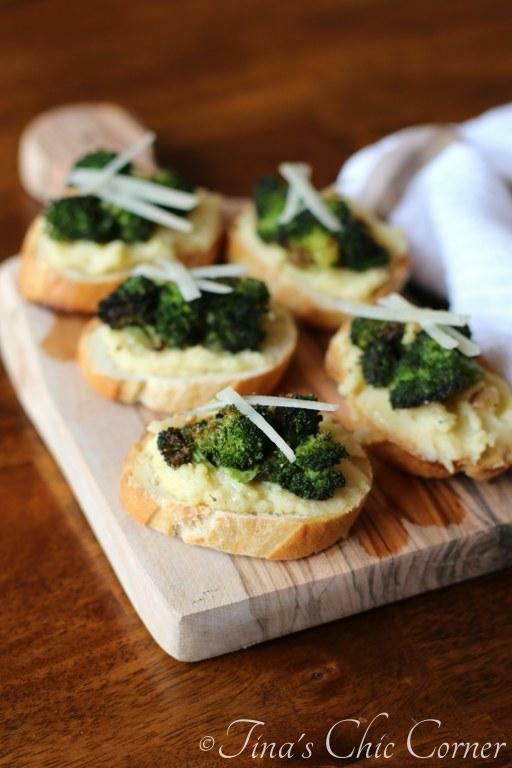 What a fun, healthy appetizer, and a great way to get your broccoli! Really interesting combination. I love polenta and this is a unique way to use it. I adore broccoli and this app just looks amazing – such a great idea! I never would have thought of this combination. Delish. I’m always looking for appetizer recipes and this looks like a winner. You had me at Parmesan polenta! And French bread, and roasted broccoli… 🙂 Love, love these bites! These are so cute!! I love cute foods!! They say you eat with your eyes first (isn’t it so true)!?! 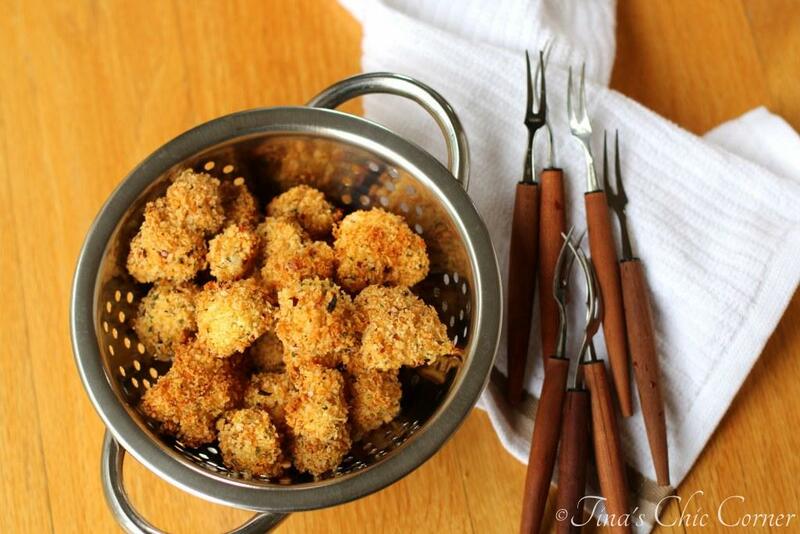 These look perf for a cute little appetizer! YUM! 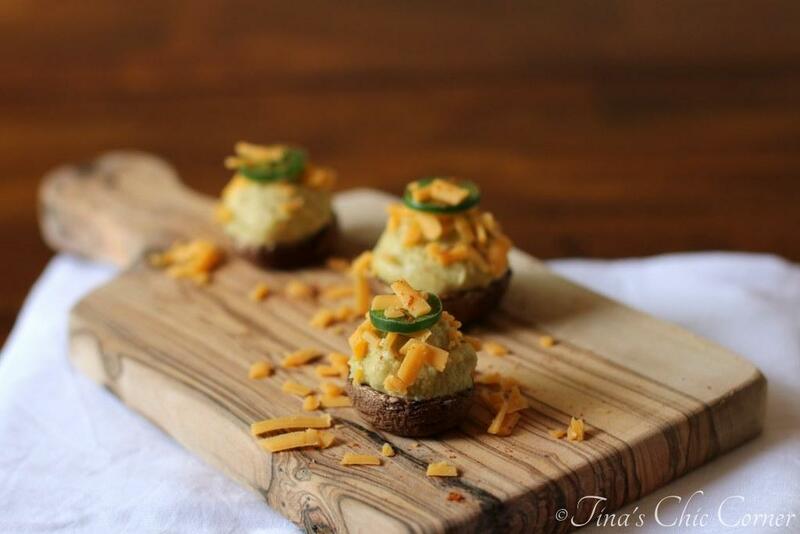 These polenta bites look amazing, Tina!